My Desktop brings up an error sound but not a code. When I’m working on a program or when I’m on word for example, it works in the program, I’m typing and clicking and typing for a while then suddenly it just like goes out of the program but doesn’t minimize it. I can still see the program open before me but can’t work on it unless I click on it with a mouse. I hear the error code and need to click anywhere on the screen or the program bar to continue what I was busy with. I had made a search for troubles or errors on the computer, I even let my anti-virus scan it but it says all is in order. I have tied to switch USB ports at the back of my computer and I have tried a different mouse and keyboard. Yet I’m still not sure what is wrong… do you know? Can you help me fix it? Let us try to find out some possible reasons behind it and try to fix the issue. 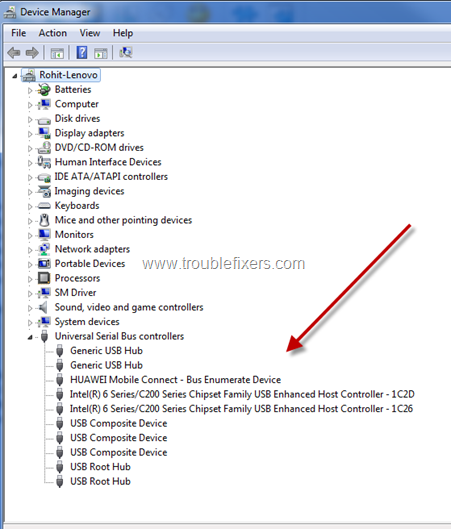 This is a very typical and hard to diagnose problem, but in our experience with Windows PC, the error sound without a code is a typical scenario when a USB device is unplugged. Since you are not unplugging any device, it maybe some fault with the hardware which maybe causing some mounting and un-mounting of USB devices. To verify if the sound is because of a hardware change notification, which is usually without an error code, open Device manager by running devmgmt.msc on the run prompt or command prompt. On Device Manager window, keep a close eye on the USB section when you hear the sound again and see if there is any change. We also suggest to do a complete virus scan of the PC to ensure that this error sound and activity is not triggered because of some malicious script or software or a virus infection on your computer.